I plan to add new control arms all the way around, including rear up ball joint and bushings. I am going with adjustable control arms. Question is how/where do I measure to know what length to adjust the control arms. I know 2" isn't much but I'd like to learn how to do it. Forgive the stupid questions, I am new to anything to do with suspensions. 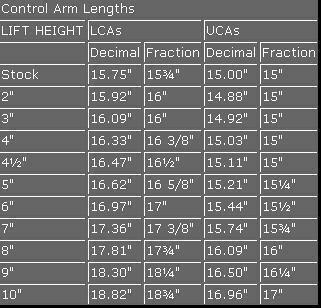 So when you're talking those measurements, you are talking about the length of the control arms? Do I measure from center hole to center hole? And is it the same measurement for the front upper and lower and rear lower? on the back with that lift i think if you left the axle at the stock angle that would work. i downloaded an angle app on my phone and used that to adjust my rear axle. before removing the old arms i would take distance measurements from each side and also check the axle angle. to measure the angle park the jeep on a flat surface and place your phone on a flat part of the axle (there are some "O" shapes on each slide of the diff that work well, or near where the pinion is) and place a jack under the pinion area to support the axle and adjust the angle. i would replace the upper first then the bottom. if the upper ones are the same length as the stock ones it makes it easier, if not then you will have to make measurements on where that axle is relative to the body. once you get it to where you want adjust the arms and install. then take it out for a test drive. 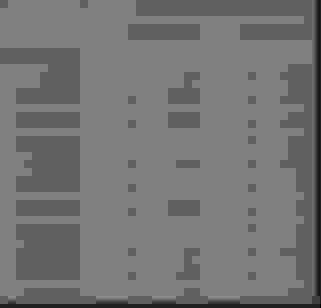 the front i have not done yet but and am a bit foggy on how to do it but this would be my guess. i currently have solid lower arms installed but will switch over to adjustable flex arms (i broke one of my mounts one time - too much flex hence the switch). if anyone has done this before please chime in, but i am guessing you will want to do this in a similar method, take measurements and angles prior to replacing anything. then, with a jack under the pinion, replace the upper ones then the lower ones. after confirming that the axle is square with the body then check the angle as mentioned above (3-5 degrees) and make adjustments with the jack under the pinion. like i said i have not done the front but the process above would be my guess. hopefully someone who has done this before and can share some pitfalls can provide better details. Lower control arms or radius arms?